Interactions between Coral Net and Tidal Visionary? Counter target spell if it's blue. Destroy target permanent if it's blue. Vexing Shusher is your friend. 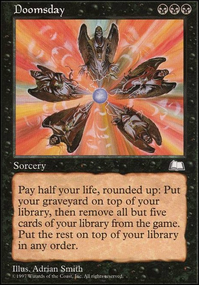 Also Pyroblast , Red Elemental Blast , Guttural Response , Mana Tithe , Lapse of Certainty , Burnout . If they're running targetted removal, Rebuff the Wicked , Avoid Fate , and Dawn Charm . They wanna play control? Control them right back. Axorian Thanks for the comment! Sorry that my list doesn't work online, I created it intending to take it to my local game store for events and casual games. I'm currently brewing a variant that includes blue, since it fixes issues like running out of cards in hand and outplaying tempo. 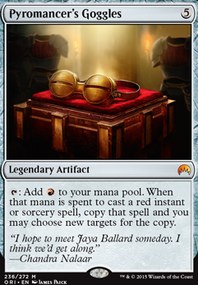 That build likely won't include Red Elemental Blast , so that might be more to your tastes. The main reason why I don't run Journey to Nowhere is because it doesn't usually deal with what this deck struggles against. 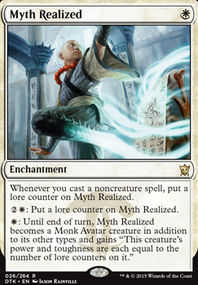 It's typically a pretty safe bet that whatever creature this deck has in play will win in combat against any blocker the help of one or two combat tricks, and since combat tricks and creatures are also our win condition, I prioritized them over disrupting our opponent (who is likely playing on the defensive). I'm currently brewing a variant that includes blue, since it fixes issues like running out of cards in hand and outplaying tempo. 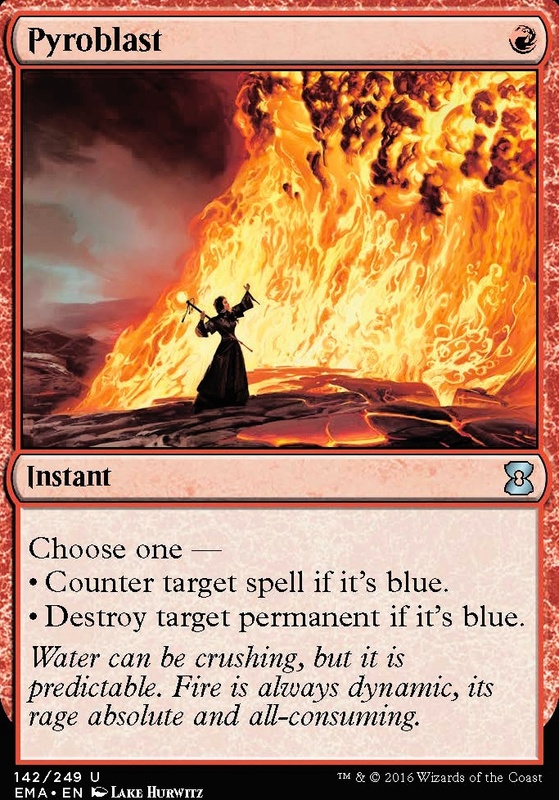 That build likely won't include Red Elemental Blast , so that might be more to your tastes. 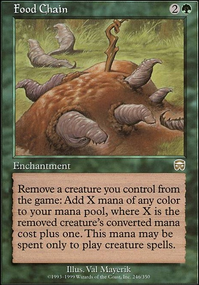 Bojuka Bog : With Crop Rotation this one card screws with graveyard decks a lot. Flaring Pain : A way to bypass fog effects, which often beat this deck. 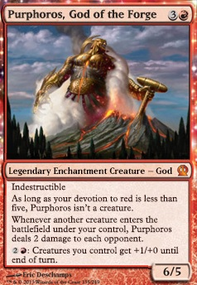 Mountain : Fixes our mana base to fit better with our red sideboard cards. Oblivion Ring : Usually isn't used, but helps deal with unwelcome surprises if we're desperate. Pyroblast / Red Elemental Blast : Blue spells disaster for this deck. Not even considering counterspells, even tempo cards like Unsummon can devastate us. 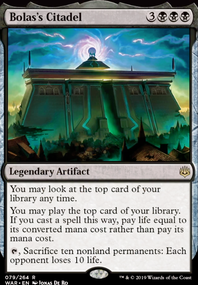 This also kills Delver of Secrets Flip, which is a nice bonus. Vitality Charm : Helps the deck bypass large groups of small creatures with trample. 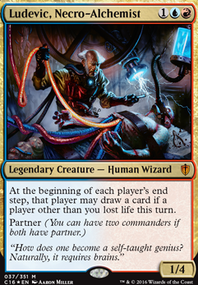 Against suffocating control decks, it can also be a creature to pick up Adventuring Gear and be a backup win condition. , , & only. Natually: Round Wave Crusher. Outside of Spot Removal, nothing is to touch the graveyard turned into Exile. DO NOT USE . This is more of a Thematic Concept; & putting anything not of Rule 1. ruins this entirely.